Solomon & Hoover is a full-service accounting firm operating in the Southwest Florida region. 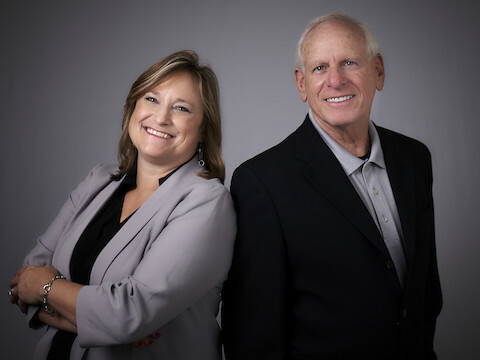 Partners, Gene Solomon and Michele Hoover have created a firm where the customer comes first and year round customer service is the standard. Many of our clients are busy business owners and executives who want nothing less than smooth, accurate accounting and tax processes that ensure they meet their tax obligations and get accurate information to guide sound business decisions. Solomon & Hoover does just that. We provide a wide range of accounting, tax, and financial services that keep you compliant with your tax obligations and provide you with actionable information to help guide your business with confidence. Let us walk you through the complex, ever-changing, financial and regulatory environment of accounting. We'll closely guide you as you plan for your future and establish key goals in your life, business and retirement. Our individual and business clients come from all walks of life and a variety of industries. They’re in financial services, construction, real estate, medical, retail, and nonprofit organizations. Our goal from the outset is to thoroughly learn about your unique needs and establish a personal relationship that adds long-term trust and value. When it comes to QuickBooks®, we are Certified Pro Advisors. That means we are Intuit-certified to teach advanced training courses for business owners, accountants, bookkeepers, and other CPAs. Relax. Let us take care of the numbers, so you can keep a closer eye on your business. Let Solomon & Hoover prove why we should be your most trusted CPA.